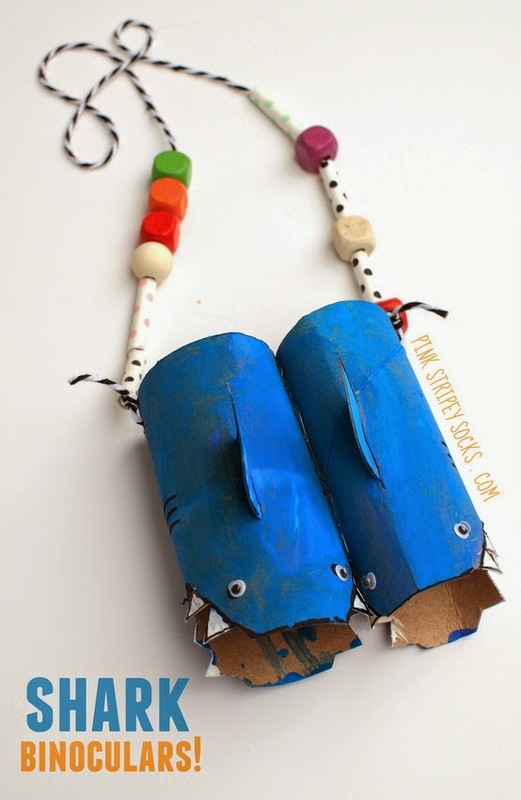 We are in LOVE with shark crafts over here. Love, love, love them. 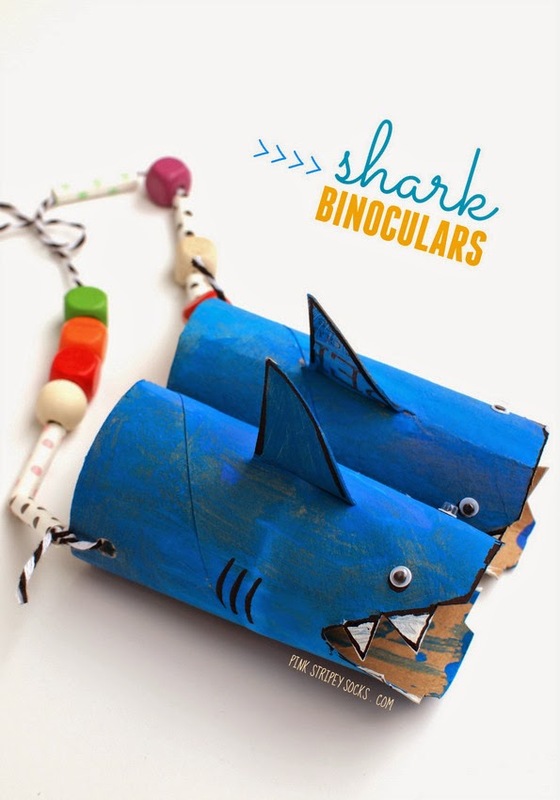 So when I was sent a bunch of free craft materials from Horizon Group awhile back, I knew what we had to use them to make.... Shark toilet roll binoculars! Aren't they adorable? They are my favorite shark-themed craft so far! Ok, before we dive into the details about the craft, let me share a bit more about why I received free crafting materials. Did you know that starting in March, Target is going to start shelving Creatify Crafting Products, a new line of kids crafting supplies? The products will range from $4.99- $12.99. To help get the word out, they sent a couple of kid craft bloggers samples of their new supplies to try out. So the next time you go to Target, go ahead and take a peek for the new Creatify brand. And if you want to learn more about them, you can always follow them on facebook too! Ok. I was going to take step-by-step photos of everything, but we just jumped right in. You know how it is right? The camera never got a chance to come out. But here's a general recap of the steps. First, I cut out 2 shark fins from cereal box cardboard. I cut a small slit on the bottom to create 2 tabs. Ok, then, I cut out a slit lengthwise on top of the toilet paper rolls. To attach the fins, I simply slipped them through and then bent the tabs inside, taping them in place. Then, I cut out the mouth and teeth. Chuck and I then painted everything. Once the paint dried, we added details with our Sharpie marker and glued on googly eyes. Then, I hot glued both sharks together side-by-side. Then, I used a hole puncher to punch out two holes on the sides of our binoculars. I cut out a piece of string and we strung on a couple of beads. I tied both ends through the binoculars. Is that a pair of sharks I see in the distance? Nope. It' just Chuck. Let me know if you try making these bad boys for yourself, k? :) I'd love to see your shark binoculars too! More Ocean and Water Activities and Crafts!